Last year, I visited an unusual jazz club in London with some friends. The venue didn’t have a menu and the evening’s entrées were brought out periodically, including uncommon fare like frogs’ legs and ostrich. The jazz was great and the place soon morphed into a dance club when dining hours ended. But the most unusual part came at the end of the night – because the only items on our bill were the drinks. The club implements a Pay What You Want (PWYW) system for its food. It is not alone in doing this and the PWYW trend has been catching on in recent years. It’s a fascinating idea with heaps of potential to make payments more social and even enjoyable. In fact, PWYW could even change how we think of business itself by bringing an element of altruism into earning money. But transforming this into a sustainable business model continues to be a challenge for the visionary businesses that are trying it out. PWYW RESTAURANTS Some restaurants have been successful in having PWYW work for them. Lentil as Anything is a well-known ‘pay what you can’ restaurant group that opened its doors in 2000 in Melbourne. Launched by Sri Lankan Shanaka Fernando, it has expanded over the years of its success. While it currently operates from five locations, there are multiple failed venues that include one that closed recently. The idea is catching on in the US too. SAME Café (with SAME standing for So All May Eat) in Denver uses a PWYW model like Lentil as Anything but takes the concept a step further by allowing patrons to volunteer time instead of a cash payment. The larger Panera Bread chain operates in St. Louis and Boston using a similar model. DIGITAL PWYW It is not only restaurants that use PWYW. In 2007, the band Radiohead created a buzz by releasing its album In Rainbows online using a PWYW pricing model. Public radio, television and sites like Wikipedia can also be considered PWYW since their operating costs are covered or subsidised by donations. Moreover, there are types of software, online classes, e-books and other digital products that operate on a PWYW pricing model. This method can be interpreted as a practical adaptation to the problem of digital piracy. But in general, PWYW can (and sometimes does) earn more revenue than traditional pricing as it targets customers who would not normally purchase the product at a set price. Additionally, PWYW motivates some customers to pay more than what they would have paid if a set price existed. WHEN DOES IT WORK? Pricing is a tricky aspect that is affected by multiple factors including many features of human psychology. The framing and context that surrounds a payment significantly affects how much a person is willing to pay. When world-renowned violinist Joshua Bell performed incognito as part of a social experiment in a Washington D.C. metro station, over 1,000 people walked by but only 27 stopped to listen. He only earned US$ 32. Yet, when Bell performed later under different circumstances, many individual seats cost 100 dollars or more. Similarly, a PWYW model will work wonderfully given the right context but will fail under some circumstances. MAKE PWYW A SUCCESS Considering the Radiohead example, even if most fans paid nothing, the band would not truly lose funds since each additional digital file can be produced at little or no cost due to the marginal cost of production. Similarly, when applying the PWYW concept to software distribution, public radio, public performances and Wikipedia, the marginal cost is almost zero. However, in the case of a restaurant, when customers dine and underpay, money is lost because the marginal cost is not zero due to food and labour costs. Thus, PWYW is slightly riskier for restaurants and more so for products that are costly to produce. But research has found that more customers tend to pay a fair price when they’re somehow informed about the cost of production. 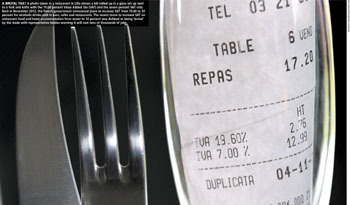 Moreover, studies have found that overall, customers pay less every time they patronise a unique PWYW location. The implication is that PWYW works better when it can attract and be sustained by new customers. Many additional factors could affect the effectiveness of PWYW – including the duration of the experience or transaction, level of face-to-face interaction, visibility of payment to others and the surrounding community or area. Most of these factors have yet to be studied but there is one particular aspect that consistently increases the revenue generated by PWYW – charitable giving. Multiple studies have found that under the PWYW concept, the revenue generated is much higher when part of the payment goes to charity. People simply think differently about payments when philanthropy and goodwill come into play. In almost all financially sustainable examples of PWYW, the philanthropic social mission of the organisation is explicitly and frequently stated. It turns out that if you want to be successful at bringing out an element of altruism in others, it helps to be altruistic yourself.